Titan Helios saves 30% more time with data collection, sharing, collaboration and conflict resolution with CollaborateCloud. The operations team at Titan Helios was in search of a tool that would help the interaction and collaboration between them and their 40+ locations. The use of spreadsheets and a cumbersome enterprise knowledge portal had been both ineffective, slow and not user friendly. They integrated CollaborateCloud into their operations workflow and quickly found success. Titan Helios faces challenge of efficiently communicating between corporate and 40+ locations. 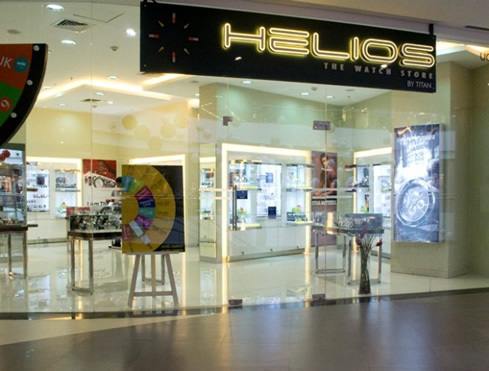 Frustrated by a knowledge portal that was not user friendly and therefore not used, the team at Helios knew there had to be better way to gather and organize issues, share files, collate data, and provide easy user friendly access to appropriate stakeholders. CollaborateCloud allows Titan Helios to classify and organize issues reported to appropriate workrooms for SOP, merchandising, visual merchandising, store audits, and commercial. The data is collected quickly and collated allowing easy sharing and collaboration. Having one location for all data saves time and efficiency, especially for newly operational locations. Store issues are being resolved in a much faster timeframe with Collaborate Cloud. With CollaborateCloud, Titan Helios is collecting, classifying and sharing data with efficiency and speed. This operational efficacy is not only taking place from corporate to store but also inter store collaboration is increasing as well. All of these efficiencies help Titan Helios gain competitive advantages in the marketplace and drive their growth.